Like in the case of all medical conditions, you are most likely going to find a sweet relief for nail fungus if you discover it early and go out of your way to seek for proper treatment. What are the ways that your condition can be treated and when should you see a doctor before it becomes too late? This article gives you simple tips to make you vigilant and thus safe from nail fungus complications. 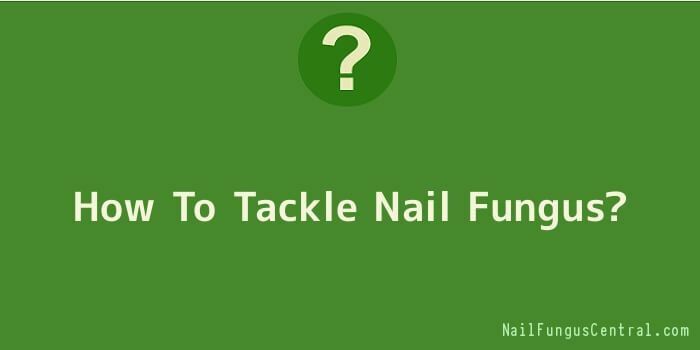 Nail fungus can be managed. Nail fungus is only good when you read about its dangers and complications in the books and other places but not when you have an infection. The reason is it can be a very frustrating, embarrassing and painful condition to manage. The treatment can take so long and will cost so much money but the good news is that it is manageable. Nail fungus can be very frustrating to try and eliminate but the good news is that you do not have to endure it forever. Whenever you suspect that you have signs of what could end up being nail fungus, if you must err, it had better be on the side of caution. Your best bet therefore, is a visit to your dermatologist who will do a medical examination and either confirm your fears or give you a clean bill of nail health. After confirmation, the doctor will choose a good treatment regime dependent on the type and strength of the attack you are suffering from. From choosing the right prescription-strength treatment or over-the-counter product to changing a few habits, you can do something about it. When your case of nail fungus is considered to be severe which may be indicated by thickening of the nail and separation of the nail from the underlying plate the doctor may give you some oral prescription pills. You may want to discuss your medical history in some bit of details if you are considering this option. The reason is that oral prescriptions for nail fungus may have some side effects and can be harmful to your liver and so you are likely to undergo some liver tests to check your liver function. While undergoing treatment the doctor may ask you to avoid alcohol. This treatment regime is a long one and may take anywhere between six and nine months on the average. This period also gives the healthy nail time to grow out. If your fungus is still on the surface of your nail, as indicated by some white flaking on the uppermost layer of the nail the doctor may prescribe some anti-fungal creams as a first line of treatment. They are less effective than prescription pills because they do not penetrate the nail body but they can stop nail fungus if they are used during the early stages of an attack. There are those people who like do it yourself procedures and will quickly rush to get over the counter anti-fungal creams. It is not very easy to get exact treatment from over the counter creams and even their labelling may not indicate that they are effective for treatment of nails because even the manufacturers know they are not likely to work on advanced cases of nail fungus.